Facilitates the overview and tracking of all issues of diversity at UC Santa Cruz. College-elected representatives, appointed representatives, and organization representatives may join the commission during the school year. 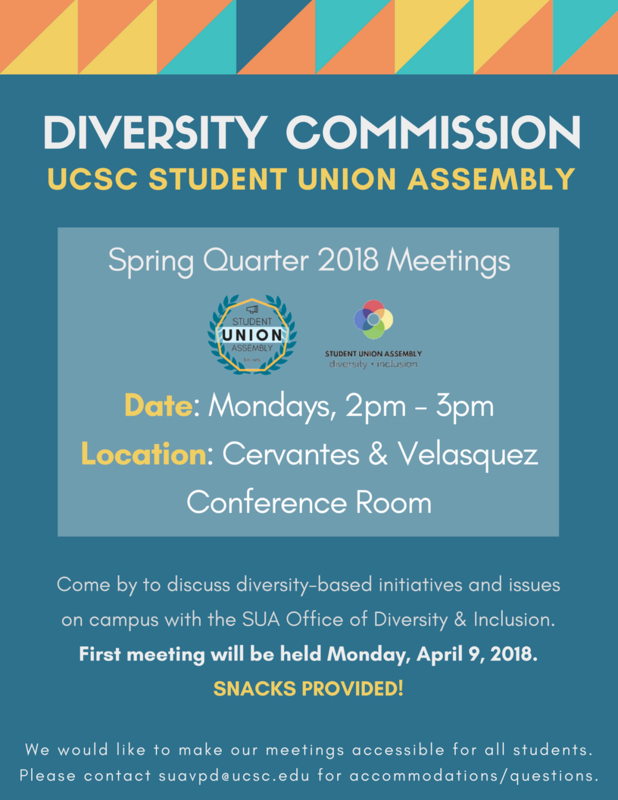 All students are welcomed to join!